Do you love hand-drawn lettering, champagne and rose gold? 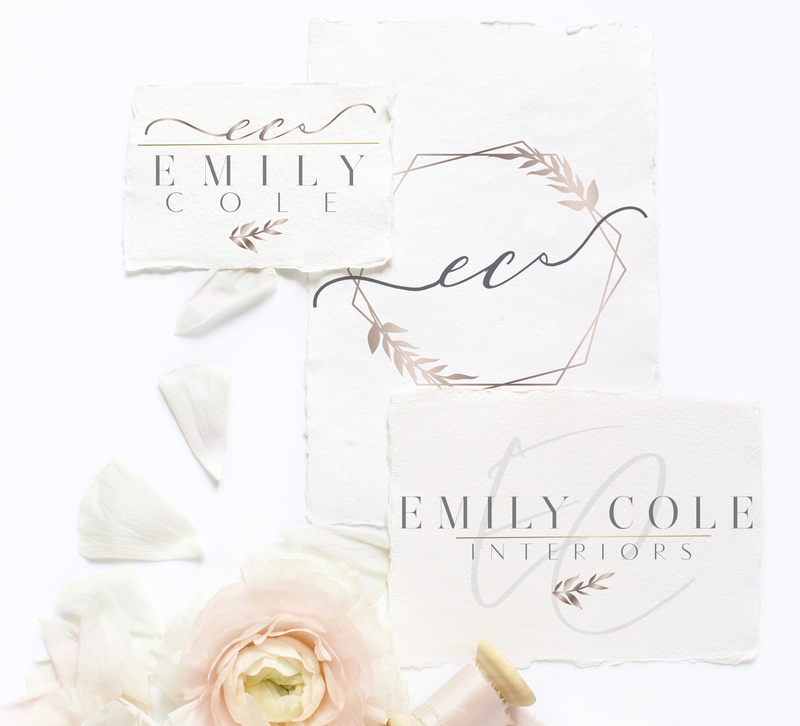 The NeoClassic logo kit is perfect for interior designers and style bloggers. Your logo kit will include full logo, customized with your business name and optional tagline, alternate logo and submark, including png, jpeg and pdf files. Kit also includes 2 coordinating backgrounds, hex color guide and spec sheet. Matching fully customized WordPress blog template also available, click here! Complete form above, including the name you wish to appear on the logo, and optional tagline. Please ensure that your email address is correct as this is the email that we will use to send your final files. Clicking the Submit button will direct you to Paypal to complete $50 payment. You will receive a confirmation email with background files and spec sheet immediately. Within 24 hours (48 hours on weekends) of receipt, you will receive a zip folder of your final, personalized logo files. *The purchase is for logo files and backgrounds only, it does not include stock images used in display. Questions? Feel free to email shari@littlebluedeer.com.